This April, I traveled to some of my favorite places talking to some of my favorite people about my favorite topic. 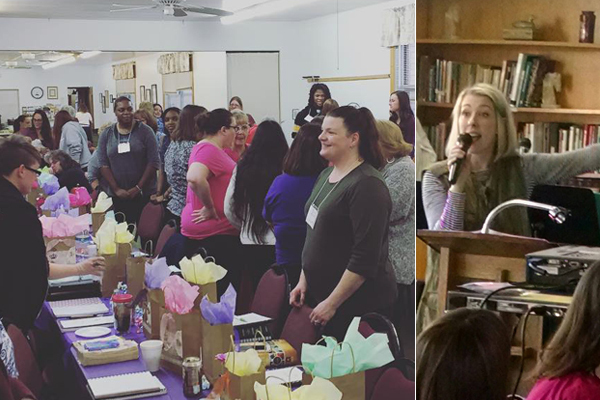 At the beginning the month, I led a women’s retreat for the Western Region of PA. Having lived and loved alongside these women for four years, it was a joy to return and spend some intentional time encouraging them to deepen their roots in Christ. Then, mid-month I attended the Missional Women Conference in Denver, where I lead a breakout session titled, Discipling Unchurched Women 101. In both places, I was reminded of the hard work of discipling unchurched women, because both of these regions offer living illustrations of Jesus’ parable of the rocky and hard soil in Matthew 13. And in both of these places, a relatively small number of women are doing the hard work of cultivating healthy disciples in hard soil. Growing disciples in rocky soil is much harder than your average discipleship efforts. In fact, discipling a woman who is unchurched looks differently than discipling someone who has grown up in nutrient-rich soil of a church culture. That’s because in areas with hard soil, discipleship is first and foremost a root building ministry. When you disciple an unchurched woman, you aren’t just concerned with positioning her to listen to the Spirit’s leading so she may bear fruit, rather, you are concerned with helping her develop deep and healthy roots from the gospel. The reason many churches fail at seeing disciples with unchurched backgrounds thrive and bloom is because growing roots is a hard and time-consuming process. And much like a real garden, producing healthy roots in hard soil almost never happens without intentional efforts to provide a disciple with the right conditions where she might grow and bear fruit. This is a lesson that God has taught me time and again, particularly as he keeps planting our family in places with hard soil. 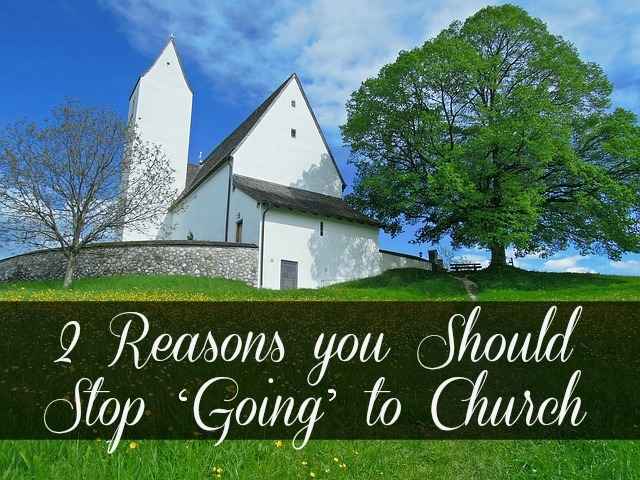 I first became aware of this identifier “unchurched” when my husband and I moved to Southeast Asia for a work opportunity. We had no missionary designs upon arrival, but God continued to bring young women to me who desired to know about him. I found myself scrambling to discover how to disciple these women. Imagine trying to introduce Jesus to someone who had no framework for God, sin, or the spiritual world! I had to throw out all my “church words” and instead learned to share the story of the Scriptures – Creation, Fall, Redemption, Restoration. Then, about five years ago, God moved our family to the difficult soil of Pittsburgh, where only 7 percent of its 2.5 million people are affiliated with any evangelical church. In the steel city, we teamed up with a North American Mission Board church plant – Living Faith Community Church – our family’s biggest faith-building adventure so far. It was in this church plant that God solidified his call on my life to unchurched women, because one of the largest demographics that came to our church were women – many of whom could be described as radically unchurched. When these women decided to follow Christ, their walks looked very familiar to that of my international friends. Despite being bright and intelligent, they were starting their journey of faith from scratch – learning that the Bible had two testaments and each book was divided into chapters and verses. 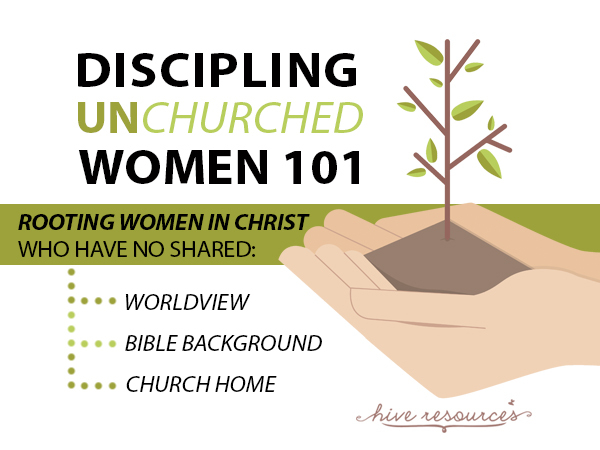 Ultimately, the need for discipling these new believers became so great, I began to piece together a discipleship strategy for women who had no Bible background – not simply to provide them with much-needed Bible knowledge, but to help them become fully-formed disciples of Christ capable of replicating themselves. In the coming weeks, I’ll begin to share some pieces of that strategy and the principles behind it. I’ll also share some of my biggest discipleship mistakes, and of course, stories of God’s biggest successes in hard soil. –What is an unchurched woman and how can you spot her? Are you ministering to unchurched women or struggling to know how to reach unchurched women in your area? Discipling women who have no shared worldview, Bible background, or church home is my passion. Join me in this series, and we’ll grow together in learning how to better engage this growing demographic in our churches and beyond. Update! The material for this teaching event is now available on Amazon. Too find out more, visit here. There is nothing that makes my heart sing louder than grabbing a front row seat to watch women cultivate insatiable appetites for the Word of God. It’s a scene I’ve had the privilege of witnessing many times in our growing church plant, and it’s one I want to see replicated a hundred times over as we continue in a women’s discipleship strategy anchored in biblical literacy. 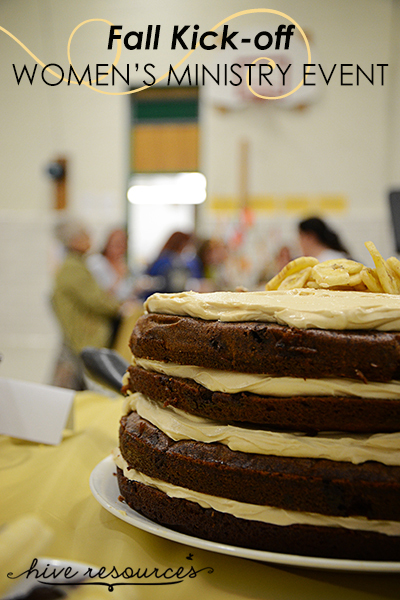 Recently, we hosted a special discipleship weekend that was made sweet for several reasons. If you know my heart, you know I believe every women’s ministry event should feed into the greater discipleship strategy of the church. 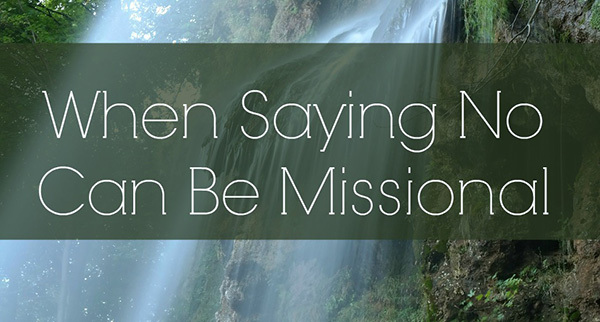 The mission of our church is to become a church planting church, but in order for that to happen, the women in our church must become disciple-making women. Because God’s Word is foundational to the discipleship process, our event served as a training weekend on studying the Bible and using Bible study as a discipleship tool. 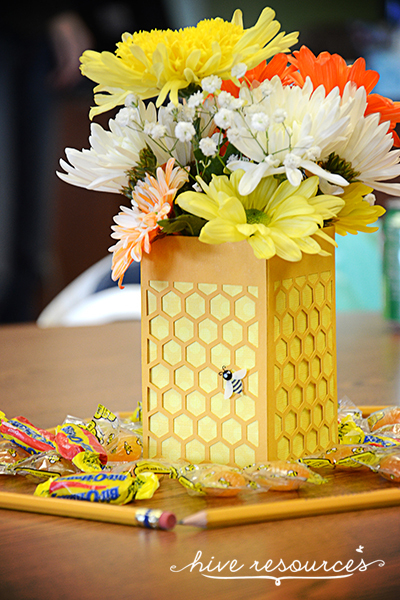 Our theme for the weekend was “God’s Word is Sweeter than Honey” taken from Psalm 19:10. 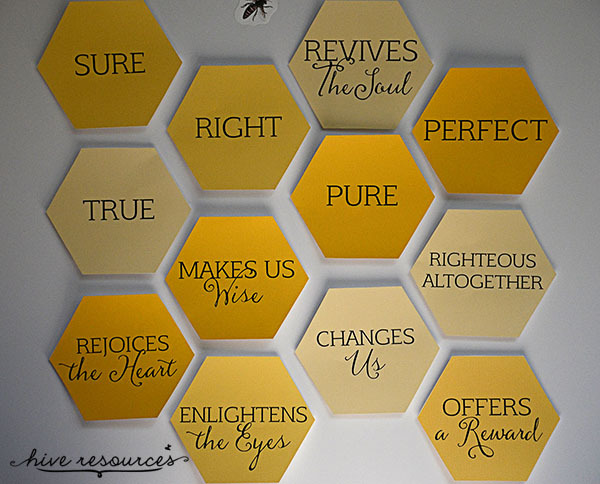 From this rich Psalm, we spent two sessions on why we should crave God’s Word above all else. These lessons were important for new believers as they grapple with questions concerning the trustworthiness of God’s Word, but they also served mature Christians well who easily forget the importance of cultivating an appetite for the Scriptures. In our time together, we dug deep and asked some hard questions of the women. How often do they feed on the Bible? Are they capable of self-feeding or are they lazy eaters enjoying the table scraps from someone else’s Bible study? What are some key obstacles keeping them from consistently craving God’s Word? On Saturday, we moved from the feast to the hands-on cooking lesson with three sessions dedicated to Howard Hendricks’ three-fold Bible study method: observation, interpretation, application. He outlines this method in his book, Living By the Book: The Art and Science of Reading the Bible . At the end of each session, the ladies worked through a specified passage, putting their new skills to the test. 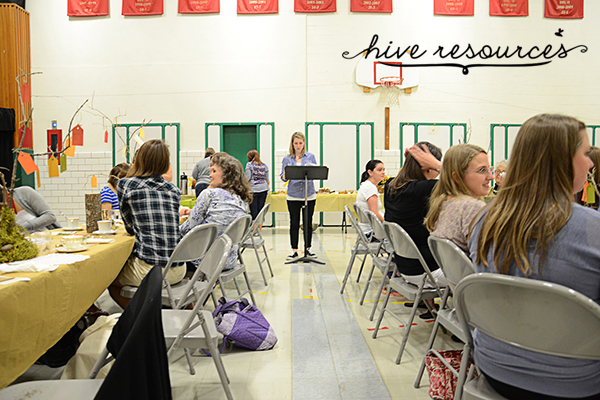 A discipleship leader sat at each table to guide new believers through the process. 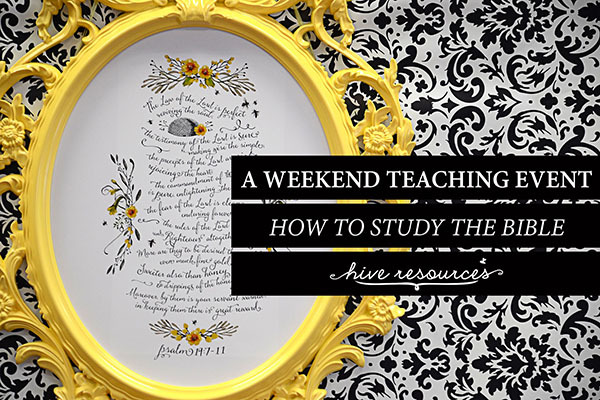 While there are many fruitful Bible study methods, I chose to teach Hendricks’ method for our weekend event because its three steps are easy to replicate. Disciplers can take those three steps and teach them to another disciple. 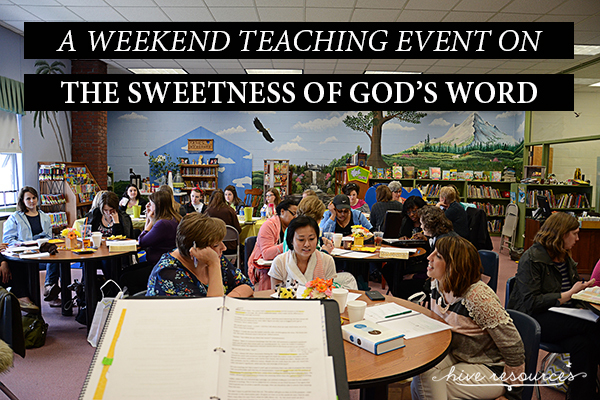 Pulling off a weekend-long discipleship event is no small task, particularly for a new church. 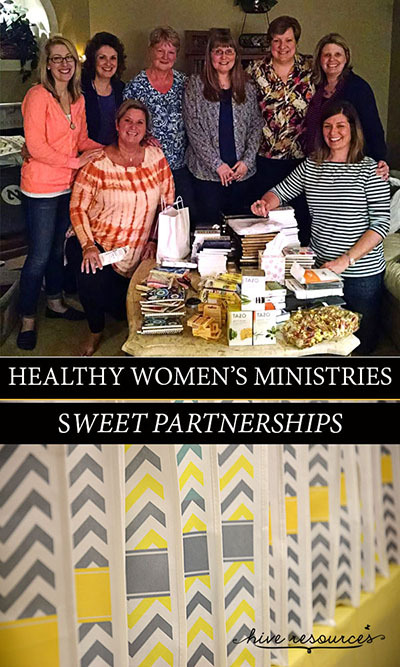 But we were blessed by a number of sweet partners in this endeavor, namely the women of one of our sponsoring churches, Hickory Grove Baptist Church. 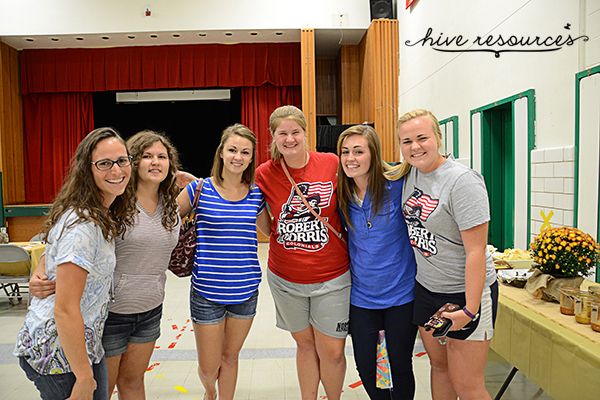 HGBC sent a mission team to provide childcare so all our ladies could spend time being equipped. They donated door prizes and personalized gift bags filled with all sorts of goodies – a treat our church could not have afforded otherwise. When we gathered with them to stuff our goody bags, they told us how they had prayed for us by name in the months leading up to our event. Their investment was both intentional and eternal. 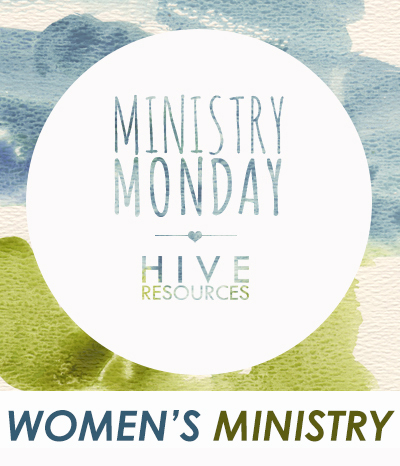 If your women’s ministry is part of a larger church, consider partnering with the women’s ministry of a nearby church plant. You have an incredible opportunity to pour into the lives of other women for kingdom purposes. And while I led in teaching, this discipleship event was not a one-woman show. 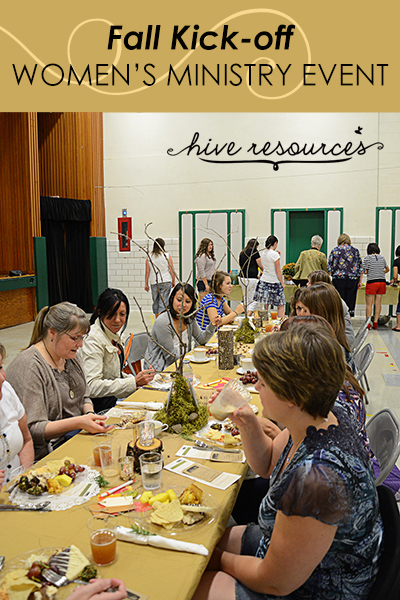 The women who comprise the women’s ministry at our church took the lead in promotion, decoration, and food preparation. Since Christmas, they have planned and prayed and prepared for our time together. They are my sweet partners in the gospel, and I am so thankful for them. Who knew discipleship could be so fun!?!? Thank you ladies of Hickory Grove and Living Faith! I love ya! 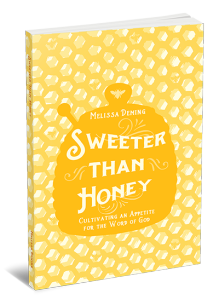 Sweeter than Honey is now available as a paperback and for kindle! For more information about the book, visit the book page. Women’s ministry has gotten some bad press lately. Millennials are calling for something new. Having grown tired of “their mother’s tea parties,” they stand ready to trade in the doilies of the 80s and the video-driven Bible studies of the 90s for something more. I’ll be honest. I don’t believe women are sick of women’s ministry simply because it seems tired or fake, but because women’s ministry is often disconnected from biblical discipleship. Recently, I’ve started strategizing ways for our church plant to minister to the growing number of new believing and seeking women coming through our doors. We’ve returned to the drawing board multiple times to tweak our strategy, yet this central truth rings clear. Women benefit the most from a women’s ministry that connects the dots to true New Testament discipleship. This is the underlying message I hear echoed in blog posts bemoaning the current state of women’s ministry. True New Testament discipleship is about making replicating disciples, not simply attending a Bible study, enjoying fellowship with other women, or meeting up with a mentor for coffee. Usually, discipleship doesn’t happen without any of those things, but it doesn’t mean biblical discipleship exists when those elements are present either. An effective and powerful ministry to women can only happen when the church intentionally trains women to intentionally reproduce themselves as a Christ follower by taking another woman along with her as she lives out her faith in her everyday calling and activities. 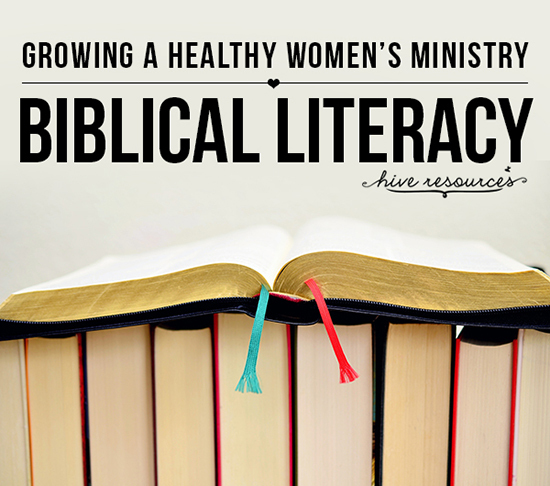 Today, I’ll share one element our church is pursuing to connect women’s ministry and discipleship: biblical literacy. 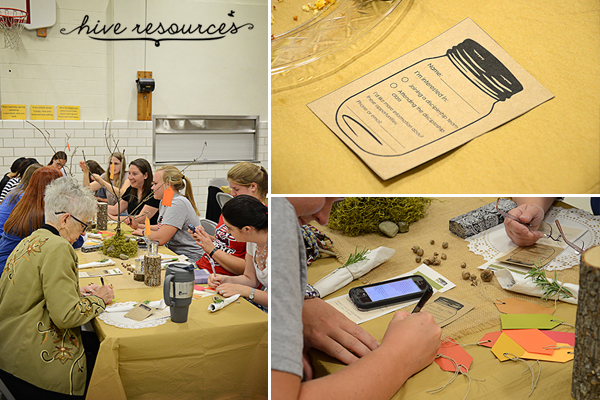 Growing and encouraging women through Bible study is the most important component of any women’s ministry. Souls, hearts, minds, and eyes are transformed when the Spirit illuminates God’s Word in the human heart, helping us apply it to our everyday lives (Ps. 19). And from video-driven studies to great new books, the American church has never had wealthier resources from which to draw to equip and disciple women in the Scriptures. Yet, spiritual poverty seems to abound. Because God’s Word is sufficient for every need and circumstance, the healthiest and most relevant woman’s ministries will encourage women to cultivate an insatiable appetite for the sweetness of God’s Word (Ps. 19:10-11). I know that not all women are gifted in Bible study, but all are expected to endeavor in the task of becoming biblically literate. Women’s ministries would do well to evaluate if the women in their midst are equipped to read and study the Bible unaided. –Can you articulate the big picture of Scripture and identify it in any given Bible passage? –Can you read a passage looking for the author’s intent in writing and overall context? –Do you know how to do a basic word study using a concordance and/or lexicon (or utilize a Bible software)? –Do you know the different biblical genres (literary types) and the different hermeneutics (interpretative methods) they require? –Can you explain how a particular passage points to or exalts Christ? 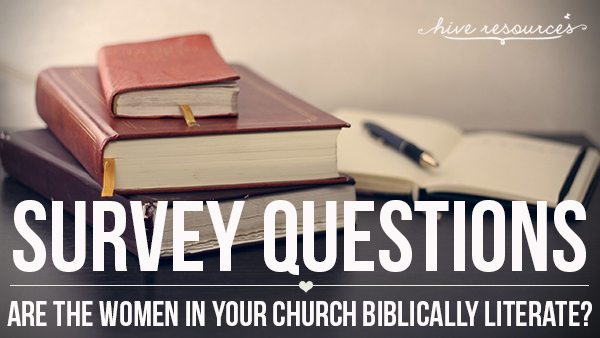 Some of those questions are technical, but they will provide insight if the women in your church are truly capable of studying God’s Word on their own. 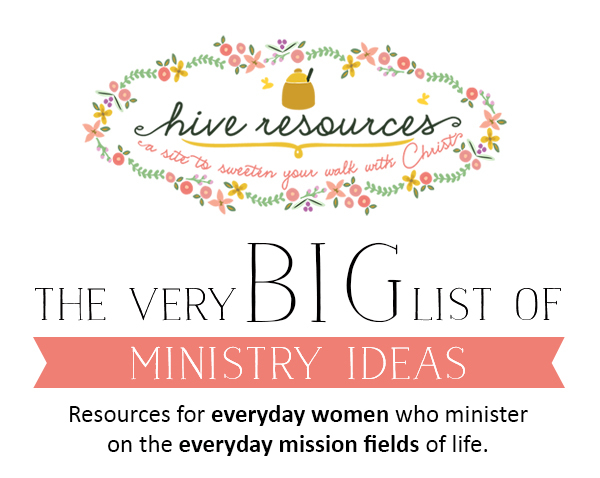 –Start with a small number of women who show an interest in learning God’s Word. 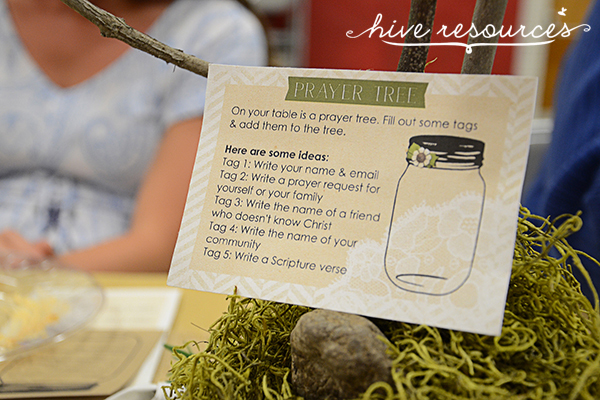 –Instead of a 10-week class, consider hosting a special retreat or “crash-course” on how to study God’s Word. (Our church is hosting one such event in April centered on Ps. 19). –Start a book club using one of the resources on studying God’s Word listed below. If you can’t meet regularly, work through the chapters on a private Facebook group or Google hangout, that way business trips and sickness won’t keep women from learning how to study God’s Word. 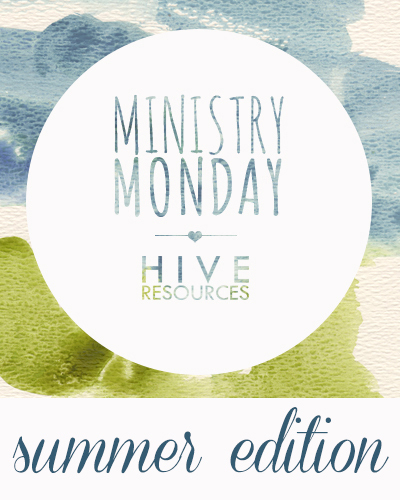 One of the lessons I’ve learned in women’s ministry is accountability is key. In the same way that having an exercise partner can motivate one to stick to a work-out plan, many women need accountability to study God’s Word. For this reason, our church doesn’t just offer discipleship classes or Bible studies, discipleship groups are also a part of our overall discipleship strategy. 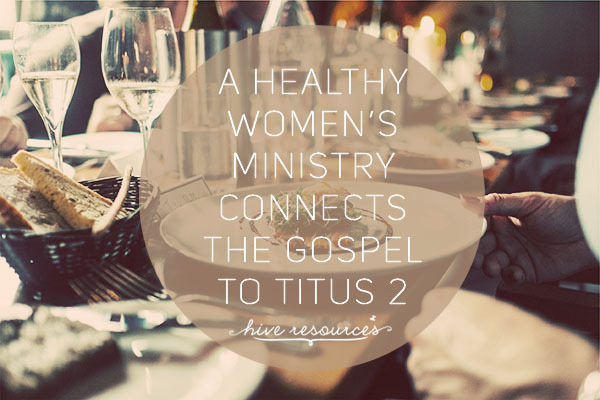 We want to see Titus 2 played out, but we also know, practically, that women need accountability to continue to read and grow in God’s Word. A women’s ministry that doesn’t teach women to understand and apply the Bible for themselves will not only fail to make effective disciples, it will fail to make replicating disciples as well. Replicating discipleship is at its heart New Testament discipleship. And unless our women’s ministries are producing women who can teach other women how to read and study their Bibles, then we are truly failing to make disciples at all. –Offer a better variety of Bible studies than simply video-driven studies or books written by the most popular teachers and authors. In this way, we’ll avoid the bandwagon of promoting personalities over God’s Word. –Help the women in your church discover their spiritual gifts, keeping an eye out for individuals with the gift of teaching. Don’t assume you know someone’s gifting or area of interests. Ask regularly! You don’t need to identify the next Beth Moore, simply women who will faithfully handle God’s Word and lead others to do the same. –Educate the women in your church about the cycle of discipleship. A disciple does not simply remain a student only. To become a fully-formed disciple, she will need to step into the role of teacher as well. Replicating oneself does not require a woman possess the spiritual gift of teaching; she only needs to be willing to demonstrate to others how to live out their faith in simple ways and rightly handle God’s Word. –Intentionally challenge specific women to work through the same material with someone else they know – either one person or in a small group. In this way, studying the Bible becomes a form of replicating discipleship. –Select material that is easily reproducible so women can lead other women through similar studies (see the material listed below). –If a woman seems unsure if she is capable of teaching, ask her to serve as your co-teacher. In this way, she can practice teaching in small segments with you standing ready to step in if she needs your help. 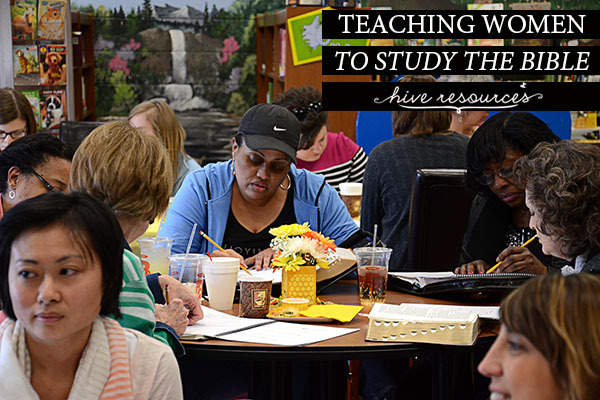 The co-teacher system is also a great way teach women how to facilitate discussion, encourage questions, and unpack God’s Word in a group setting. 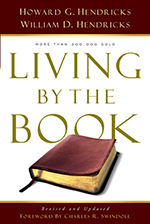 Living By the Book: The Art and Science of Reading the Bible by Howard and William Hendricks is my all-time favorite book for learning how to study the Bible. Complete with pictures, graphs, and illustrations, this book is easy to read and offers easy-to-remember tools at the same time. 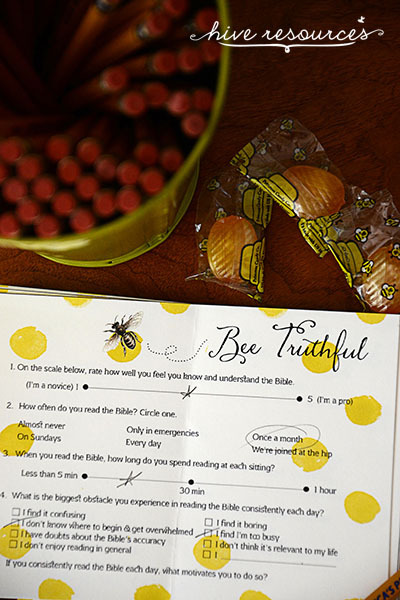 Any Bible study on the market utilizes or mirrors Hendricks’ three-fold Bible study method (observation, interpretation, application) to some degree. It is a mainstay and a must-have for any believer. 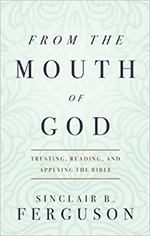 I just finished reading From the Mouth of God: Trusting, Reading, and Applying the Bible by Sinclair Ferguson. This book is a wealth of information for studying God’s Word. And although it is not as easy to read as Howard Hendricks’ book, it offers helpful “keys” for understanding the larger context of Scripture such as its redemptive story line. Women of the Word: How to Study the Bible with Both Our Hearts and Our Minds by Jen Wilkin encourages women’s ministries to pursue the training of competent female Bible study teachers. This book offers practical study tips and identifies some of the pitfalls into which women commonly fall when studying God’s Word. And although I wish she gave greater credence the role of learning the original languages in studying the Bible, I love that the author encourages women to keep the big picture of the Scriptures in mind when interpreting it. Every Christian woman should own this book. 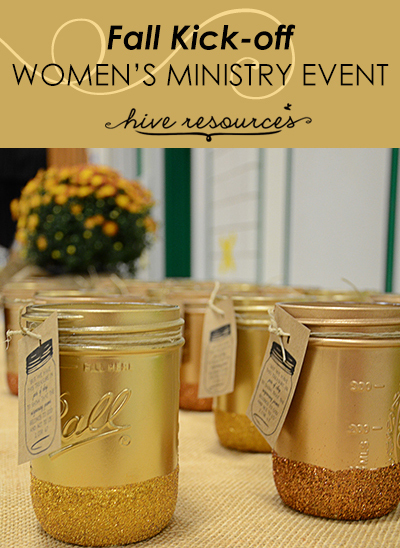 If women’s ministries have any hope of becoming effective and relevant once again (and I think they do! ), they must become more than simply a filling station to fuel up on God’s Word. 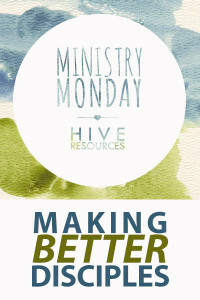 Women’s ministries must also intentionally train women to pour themselves out for others and into others. One of the best places to help women connect the dots to her role in the church and the kingdom is by teaching her to replicate herself through God’s Word. What is your favorite tool or book that helped you learn how to study God’s Word? Share your resource in the comments so I can see what’s on your bookshelf! 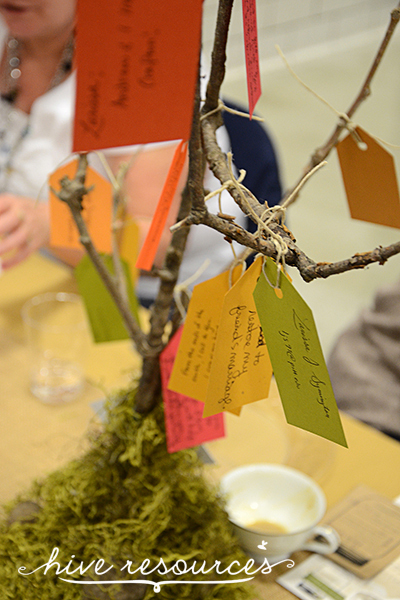 Our church plant is in the thick of unrolling a discipleship strategy for women. 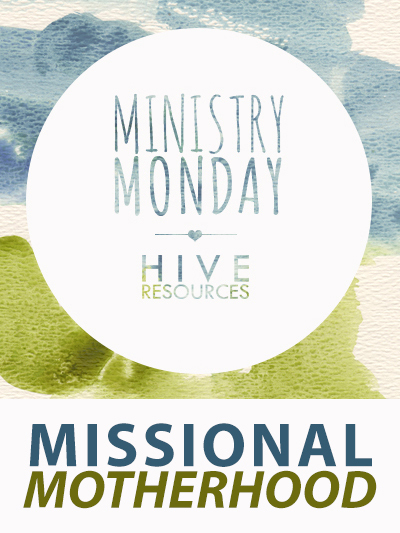 I’m over at Missional Women sharing some of our lessons on what works, what doesn’t, and what we can do without. And while there is no single formula for leading a discipleship group, we’ve discovered a few elements that can determine how successful a group can be. Recently, I invited myself to a friend’s discipleship group comprised of three younger women, and I observed several things “worked” for them. Not all these elements have to happen at each group meeting, but when they do appear, they ensure women are edified and equipped to make more disciples. 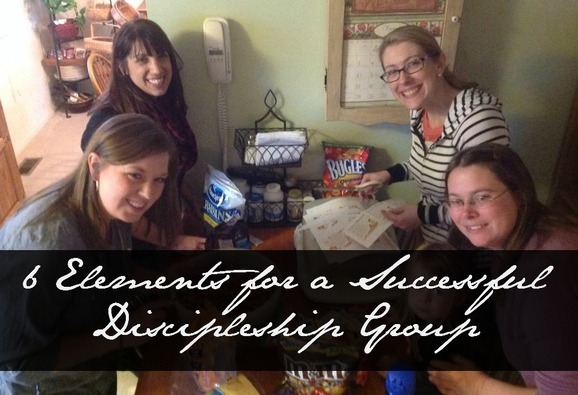 Here are 6 elements that make for a successful discipleship group. Click to find out what they are! 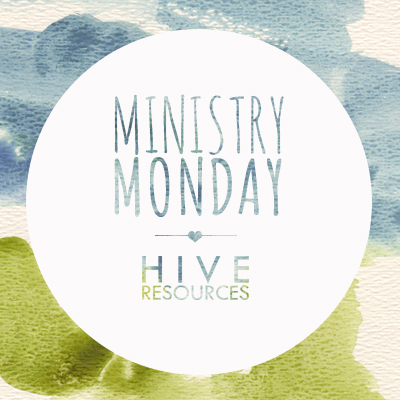 Before you go, check out this MUST-FOLLOW Pinterest Board featuring tips, strategies and ideas for Women’s Ministry! Enjoy! Today, many in the church try to replace community with church attendance, assuming the two ideas are interchangeable. But going to church and living in a community of faith aren’t necessarily the same thing. Having grown up in the midst of church life, I see a looming difference. To read my full post, CLICK HERE! 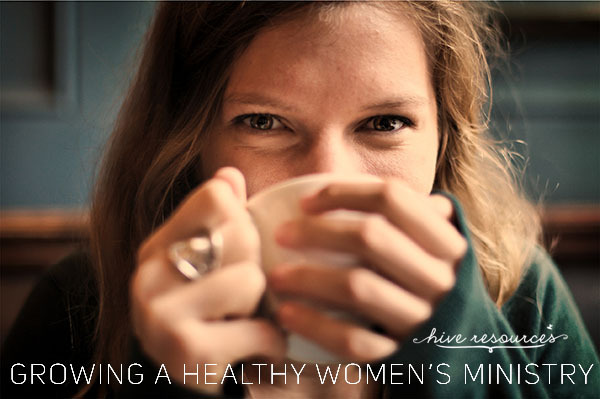 The Missional Women Conference is THIS weekend! Sign up for the FREE webscast here! When my husband and I moved to Pittsburgh a few years ago, we secretly plotted to find the largest church in our area and hide in the back pew. We were kidding, but sort of not. But God has a pretty good sense of humor. Instead, he led us to what seemed like the smallest church in the city – a church that hadn’t even officially opened it’s doors! And while we would have never picked out church planting for ourselves, we’ve been blessed beyond measure to be a part of one. Through the month of April, friend and fellow Missional Women contributor Joy Rudolph is donating a portion of the proceeds from her Etsy shop to our church plant – Living Faith Community Church of Pittsburgh! A church planter herself, Joy knows the roller coaster ride of pioneer missions. She interviewed me about our church planting journey over on her site yesterday. I hope you’ll hop over and marvel with me at how God guides us to the exact location he wants us. Plus, I hope you’ll support our church by purchasing something from her shop! 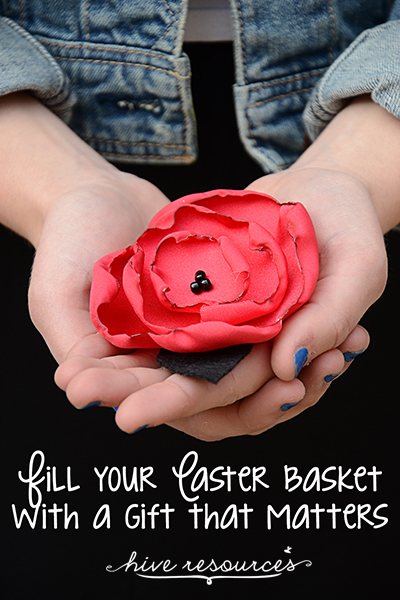 She sent me these adorable flower pins, and I thought of so many ways to use them – on hats, on wreaths, on just about any jacket or sweater, and even as a meaningful gift in an Easter basket. Yesterday, one of my sweet friends I’m discipling stopped by. 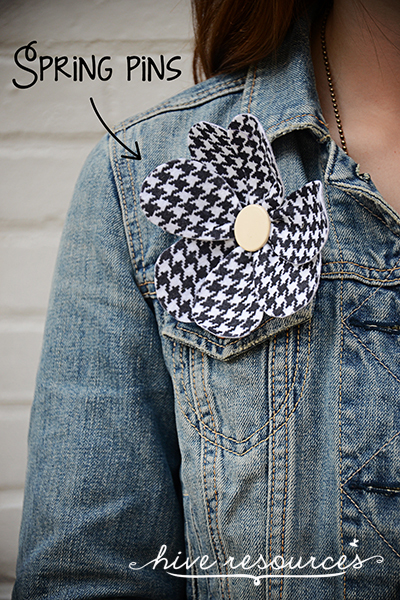 She looked so cute, I made her try on the black and white houndstooth pin. Thanks for being such a good sport and super cute model, Toni! 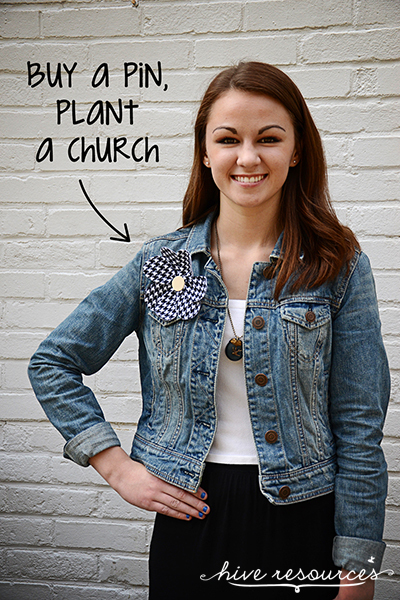 Support our church plant during the month of April and make a purchase from Joy’s shop! What’s more fun that shopping for a purpose?